Q. 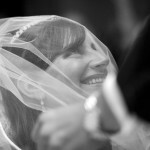 Why does a bridegroom lift and then replace his bride’s veil prior to the wedding ceremony? A. The bride’s relatives usually make a joke about it. 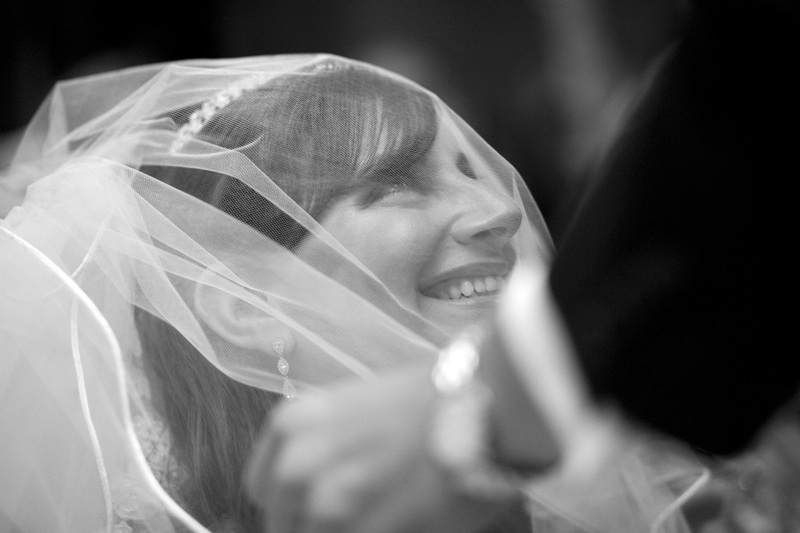 The bride is ready to come under the chuppah, but she has to sit and wait for her bridegroom to come towards her, lift and replace her veil, and assure the rabbi and everyone else that it really is the right girl. The chattering relatives are likely to wonder what a quaint, outlandish custom this is. The right girl? After all those weeks or months of frantic activity, with all the effort to find a hall, a band and a caterer? With the honeymoon booked and the new apartment full of wedding presents, now someone starts talking about the right girl or not the right girl? Enough already of the funny business! Let’s get on with the ceremony, for heaven’s sake! The traditional bedecken ceremony, which owes its rise to the verse in the Torah about Rebekah’s family blessing her and saying, achotenu, at heyeh l’alfei r’vavah, literally, “Our sister, be the mother of thousands of ten thousands” (Gen. 24:60), followed shortly afterwards by Rebekah seeing her bridegroom and covering herself because of modesty (verse 65). The blessing given to Rebekah does not simply say, “Have many children,” but implies, “Fulfil your destiny as the mother of a great nation” (Samson Raphael Hirsch). Bedecken is no joke, but a serious moment when the groom acknowledges that this is the woman with whose life his is henceforth to be intertwined and whom he will partner in building a future and a destiny. Why does all this go with the placing of the bride’s veil? To emphasise the sanctity of the moment, the privacy of the bond between husband and wife and the uniqueness of their relationship. A wedding is conducted publicly, but a marriage is lived privately. The couple are part of their respective families, but from now on their inner world is each other and in due course their own children. This entry is filed under Ask The Rabbi, Marriage & Divorce.